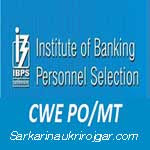 IBPS PO/MT Eligibility Criteria Details:- Institute of Banking Personnel Selection (IBPS) will be conducting Common Written Examination (CWE PO/MT) for the recruitment of Probationary Officer/ Management Trainee posts in the 20 Participating Banks. The eligibility criteria for IBPS CWE PO/MT-VI Exam is given below. Prospective Candidates should ensure that they fulfil the specified eligibility criteria before applying for the IBPS PO/MT 2016.
i.e. A candidate must have been born not earlier than 02.07.1986 and not later than 01.07.1996 (both dates inclusive). Relaxation of Upper Age Limit : Relaxation as per the Government norms is applicable. For more details about Age Relaxation, Refer To Detailed Notification. Educational Qualifications (As on 13/08/2016): A Degree (Graduation) in any discipline from a University recognized by the Govt. Of India or any equivalent qualification recognized as such by the Central Government. Note: All the educational qualifications mentioned should be from a University/ Institution/ Board recognised by Government of India/ approved by Government Regulatory Bodies and the result should have been declared on or before 13/08/2016.